Sign up below and join our support group! 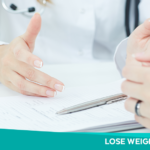 Whether you are considering having weight loss surgery or you’ve already had reshape dual weight loss balloon, gastric sleeve surgery, or another bariatric procedure, we invite you to join our monthly bariatric support group. Fill out the form below and join us today! Our patient N.E.W.M.E. 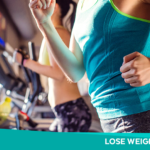 Support Group (Nutrition, Exercise, Weight Loss, Motivation, Encouragement) is designed to provide you with the opportunity to connect with other bariatric patients, learn about the latest in bariatric diets, and celebrate your successes with people who truly understand the unique challenges and rewards that come with weight loss surgery. Each month, our patient support group is facilitated by a member of our bariatric care team who is available to answer questions, address concerns, and offer additional resources. You’ll also have the chance to hear from fellow bariatric patients, discuss different experiences that can occur after weight loss surgery, and learn about the latest in post-surgical diets and exercise plans. 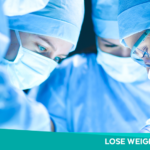 We talk about the emotional issues involved with bariatric surgery, including how surgical obesity treatment can impact your relationship with your friends, family, and coworkers. At our bariatric support group you can learn about stress management strategies, coping skills, and ways to deal with situations such as holiday meals and eating in restaurants.